Our beautiful son Jack was born on 16th March 2010, it quickly became apparent that something wasn’t quite right. He wasn’t feeding well, he didn’t cry or open his eyes. 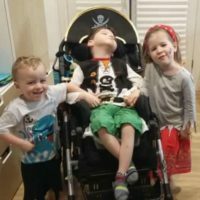 Jack was ventilated and diagnosed at 8 days old with the very rare and incurable metabolic disorder, NKH. 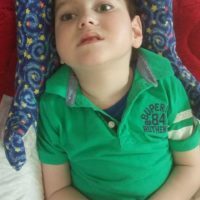 We were told to expect the worst, he wasn’t expected to survive. Jack had his own plans and surprised us all by pulling the ventilation tube out and breathing for himself. Over the last 7 years Jack has taught us more than we could have possibly imagined – yes there’s been tears but he’s taught us about never-ending strength, patience and resilience. 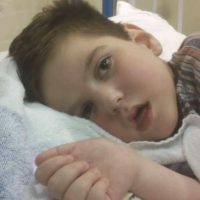 Despite his severe disabilities Jack remained very well for the first few years. However, as he’s grown, his list of medications and medical issues have grown with him. 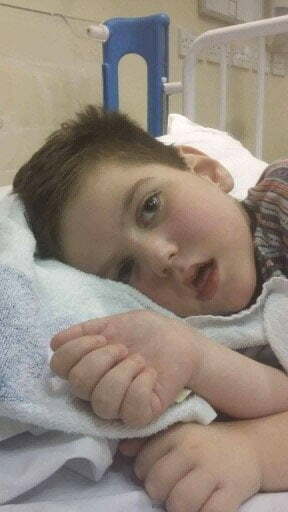 His needs are very complex and has spent increasing amounts of time in hospital, mostly in Carlisle. 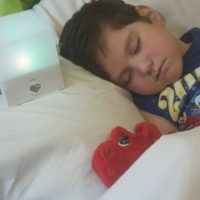 We began to see little green hearts on many of the new sensory toys and books that have been so generously provided by TeamEvie. There’s a fantastic new trolley with beautiful new books all donated by TeamEvie. Jack’s little sister and brother love to go along and choose books we can read to him. 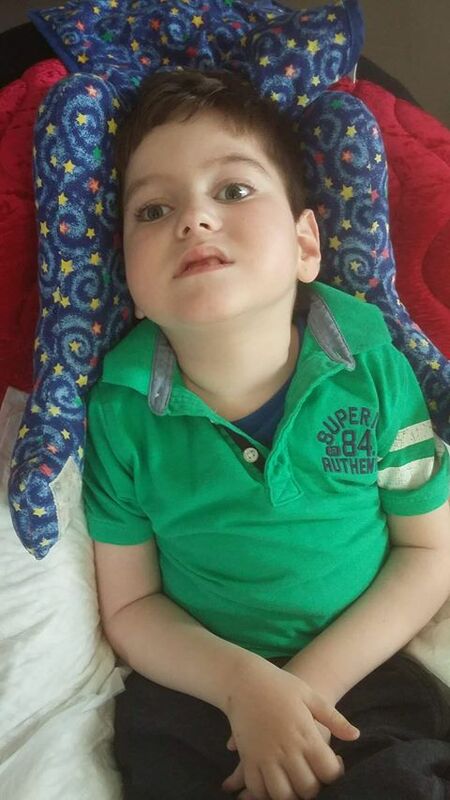 Jack loves to look at the pictures and hear a familiar voice read to him, it brings great comfort to us too. 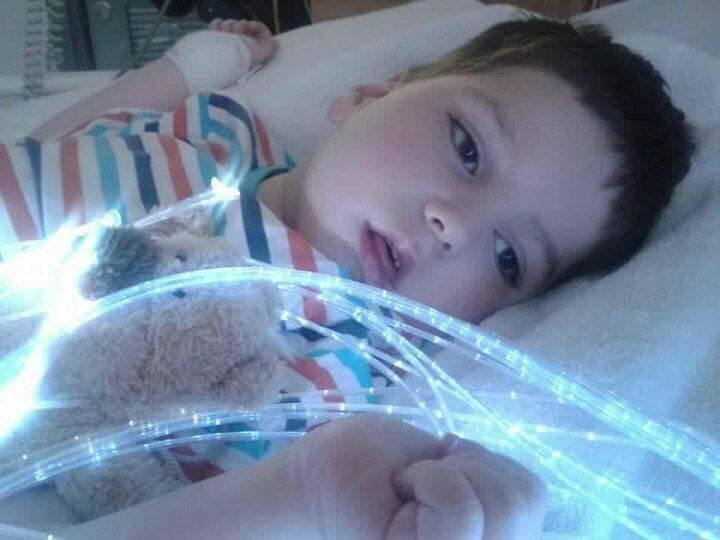 The lovely musical and sensory lights are very soothing for him getting to sleep and during seizures. The newly renovated family room will be so useful during the longer hospital stays and we’re looking forward to seeing the green microwave! 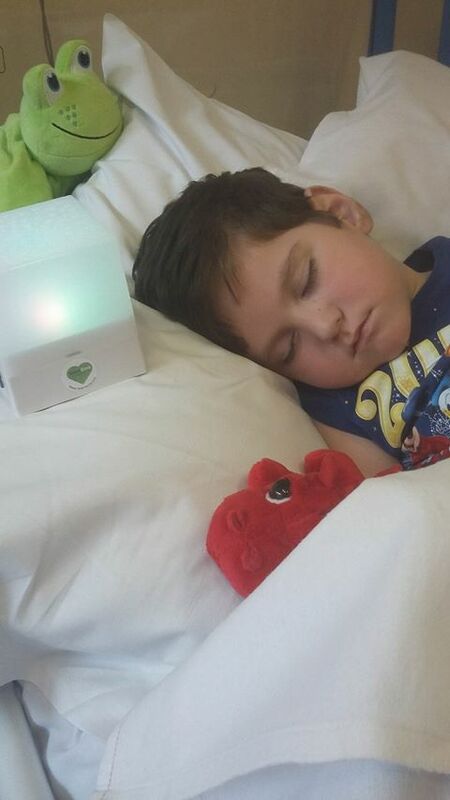 Hospital stays are emotionally and physically draining and as Jack’s health deteriorates this only heightens our worries but the kind and thoughtful donations from TeamEvie really do make a difference to Jack and our family as a whole. 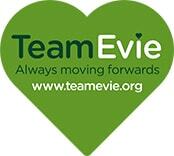 The special babies group in West Cumbria is another amazing TeamEvie idea. 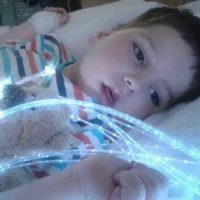 Being a parent of a disabled child is very lonely and isolating so it’s fantastic that parents have some where to meet and talk to parents in a similar situation. We open each book, read the dedication and look at the little picture of Evie. I’m quite sure she would be immensely proud of what her family have achieved – always moving forward. If you would like to help us to keep helping families like the Donohoes you can by donating now!